“If music be the food of love, play on.” In Valentine’s Day, come cultivate love for ourselves and others! 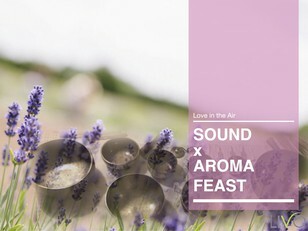 The synergy of sound and aromatherapy is a powerful healing. The vibration of singing bowls and essential oils is a precious gift from the Mother Earth. It penetrates our body & psyche and balances our chakras & aura. 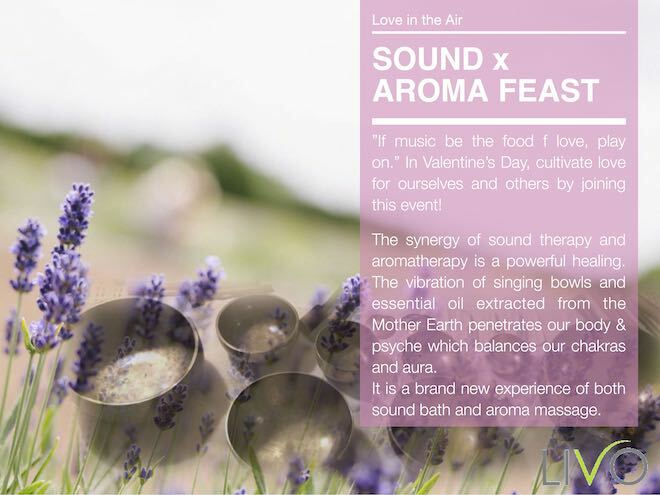 This is going to be a brand new experience of both sound bath and aromatherapy. Singing bowls & aromatherapy bath. June & Katrina: Yoga teachers. Fascinated by Tibetan singing bowls, June and Katrina received trainings from renowned masters. Partnering together and delivering a series of workshops, they has formed the Sound Healing Lab in 2017. Celia: Aromatherapist, Professional member of NAHA(US) & Int’l member of IFPA(UK). Celia is specialized in helping people with emotional healing, stress reduction and relaxation. She is also a long-term meditation practitioner.